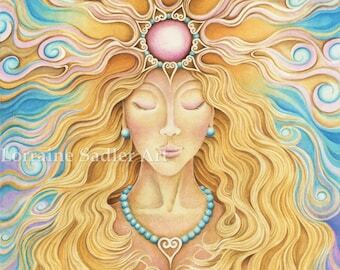 12 x 16" Giclee Art Print 'SERENITY' by surreal and visionary artist Lorraine Sadler. Archival Fine Art print, Buddha. 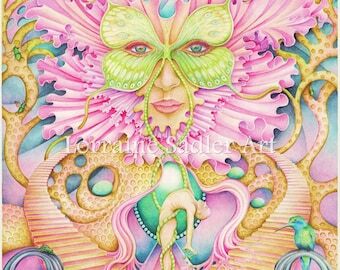 12 x 16" Giclee Art Print 'PARADISE FOUND' by surreal and visionary artist Lorraine Sadler. 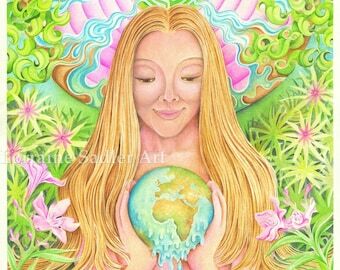 Archival Fine Art print, Planet Earth. 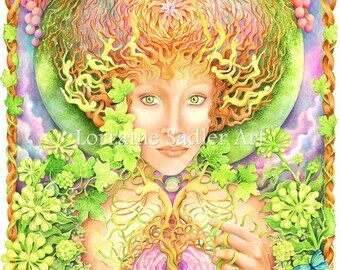 12 x 16" Giclee Art Print 'JOY, A branch of Happiness'' by surreal and visionary artist Lorraine Sadler. Archival Fine Art Print. 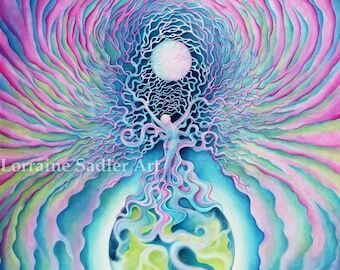 16x 20 Giclee Art Print 'Cosmic Connection'' by surreal and visionary/spiritual artist Lorraine Sadler. Archival Fine Art Print. 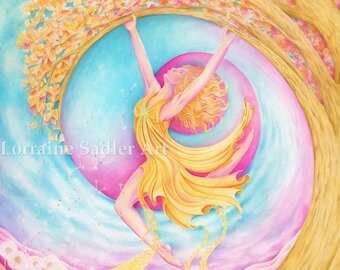 16 x 20" Giclee Art Print painting 'Whirlwind Romance' by surreal and visionary artist Lorraine Sadler. 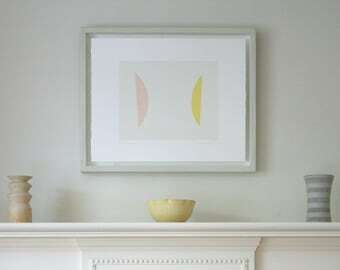 Archival Fine Art print, Yin & Yang. 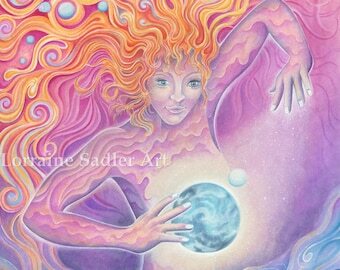 24 x 34" LIMITED EDITION Giclee Art Print 'Spirit Weaver'' by surreal and visionary artist Lorraine Sadler. Signed Archival Art Print. 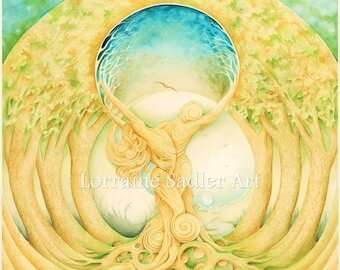 24 x 32" LIMITED EDITION Giclee Art Print 'Entwined'' by surreal and visionary/spiritual artist Lorraine Sadler. Signed Archival Art Print.